I saw Bradley Cooper the other day! And by “saw” I mean I paid money to watch him perform in “The Elephant Man.” He was absolutely brilliant! If his name wasn’t plastered everywhere, I probably would not have known it was him. That is mostly due to his acting chops, but also because I was seated in the very back row of the very highest balcony. Boy, have I been spoiled by front row day seats. I’m not sure if it was the show itself or my seat, but I just couldn’t get into the play. I kept shifting positions trying to look around the guy in front of me’s giant head, and I kept getting annoyed by the littlest of things, like the girl next to me who kept digging in her bag constantly. I dread the queuing aspect of day seats, but you really can’t beat the immersive experience of being in the front row. It’s officially summer now, which means it’s starting to get hot in London. Not hot for the average person, but hot for me (though I fear next week it will get properly hot — I’m seeing 90F/32C in the forecast! Dear god let that please change before Wednesday!) So I decided to walk home from the show instead of sit on a hot and stuffy bus or Tube (I also did it for the Fitbit steps, naturally). I finally made it back, ready to finish up the work I put off in favor of seeing Bradley Cooper from a far distance, but my email wasn’t loading. No website was loading. 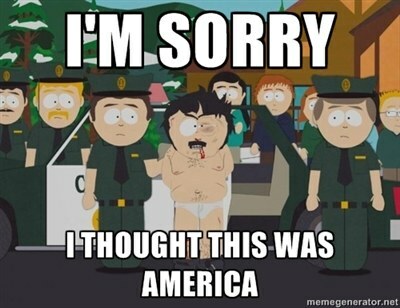 So I attempted the usual fix — unplugging and restarting the router — but it didn’t work. The normally white smiley Internet icon was orange. And then I called Sky. After being on hold for ages, I was eventually told there must be an outage and the engineers were working on it, but it could take up to 5 days to fix. 5 days. No internet for 5 days. Basically the only time I am not using the internet is when I am sleeping or showering. Even when I run or cook I stream music or podcasts. If I’m not working, I’m watching Netflix or surfing Facebook and other sites. I cannot just not have internet. I started planning how I could handle the next 5 days, going to the library or Starbucks to work, and then using my unlimited phone data while at home. 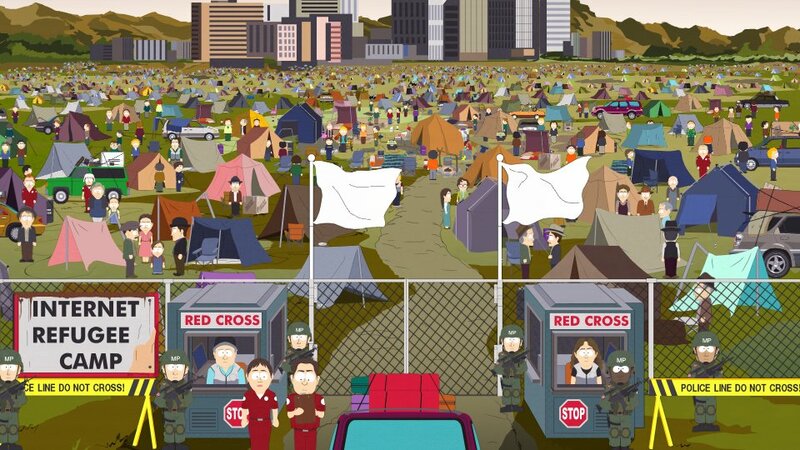 I thought we might have to head out Californee way in search of some internet. After resetting the router again in vain, I realized I had to relax. I was still on track to get my required work done by Friday, and everything else could wait until the next day. In a weird way, a sense of relief came over me. It was like being on an airplane. I’m almost glad airplanes don’t have [free] WiFi, because then I’d feel obligated to be productive. The only good part about a long flight is having that guilt-free time away from work and distractions. One of the pros of working from home is not having set hours, but it’s also a con in that I’m never really done working for the day. But that day, I was. I wish I could say I used my internet-less time wisely and wrote a story or read an actual book, but in reality I was glued to my phone. Still, my mind wasn’t thinking about all the things I had to write or edit, I could fully enjoy Doug the pug’s Instagram. And then when I woke up the next day the orange light was back to white. The Internet Fairy (or Sky engineer) had come! No need to head to Starbucks or out Californee way. I never want to live without the internet, but I guess occasionally it’s good to know that I can (…for a night). This is my collection (The PB2 and The Bee’s Knees I smuggled from the US). Two years ago the term “nut butter” was foreign to me — I had a jar of cheap store brand peanut butter and that was it. But somehow over the years I have become a nut butter snob and connoisseur, and that same jar I used to savor now tastes like peanut-flavored sugar oil to me. Once you try the real stuff — just roasted nuts blended, maybe with some salt — it’s hard to go back. I started collecting nut butters when they went on sale, eager to try different nuts and flavors, telling myself that nut butter is good for me — healthy fats and protein! I’d put a scoop on my oatmeal, dip some fruit or add it to smoothies. Except it evolved to a point where I couldn’t just put a scoop on my oatmeal or spread some on apple slices — I had to repeatedly spoon it from jar to mouth afterward. One tablespoon of nut butter provides healthy fats and protein. Ten consecutive tablespoons of nut butter in your mouth just makes you fat. I realized I truly had an addiction when I found myself shoveling Nutella into my mouth one night when I was sick last week. I could not even taste it! I wasn’t even hungry! I was just doing it out of habit. That’s when it hit me that I wasn’t just jokingly “addicted” to Nutella — I really was. 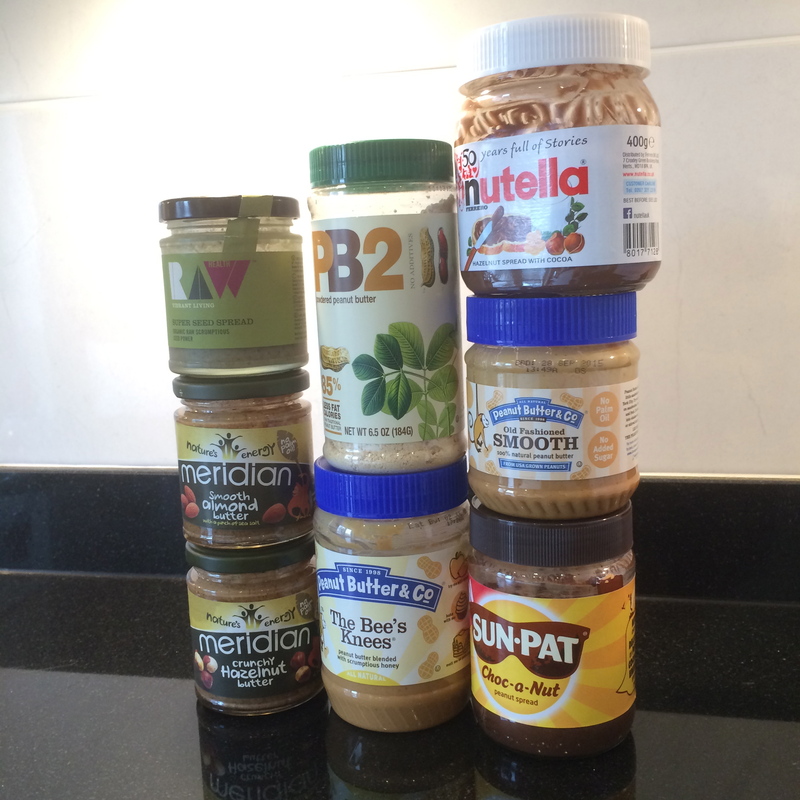 I’m not going to give up nut butter cold turkey for Lent — that would almost be too easy. The real struggle is in moderation — scooping out one tablespoon and then putting the jar away, no matter how much the crave tells you to get it back out. That’s what I’m going to try to do — not just for 40 days, but for the foreseeable future. All my running is basically fruitless when I come home and eat 1,000 calories in spread. And when my current jar of Nutella runs out, I’m not buying any more. Almond, hazelnut and peanut butters provide real nutrition, but I’m pretty sure Nutella is just sugar and oil — delicious, chocolate-hazelnutty sugar oil. It’s a treat to buy when it’s on sale for Pancake Day, not a dietary staple. Randy: Maybe I can force myself to never drink again. 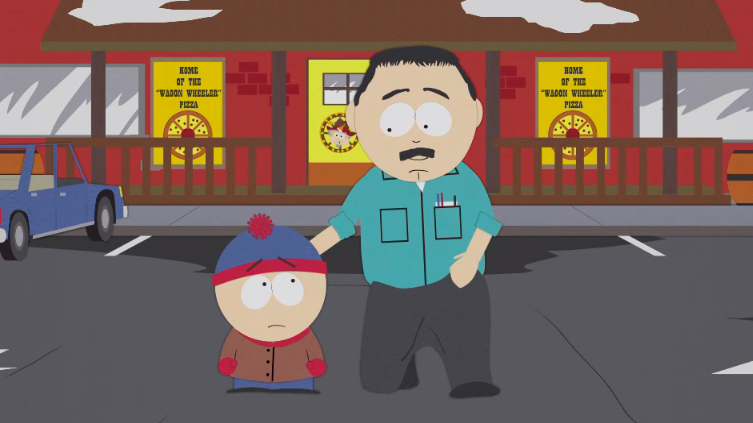 Stan: No! Dad, you like to drink. So have a drink once in a while! Have two! If you devote your whole life to completely avoiding something you like, then that thing still controls your life and you’ve never learned any discipline at all. Randy: But maybe I’m just the kind of person who needs to have it all or nothing. Stan: Naw, all or nothing is easy. But learning to drink a little bit, responsibly, that’s discipline. Discipline come from within. There’s a stereotype that Brits like to complain about the weather no matter what. I was queuing at the till at Sainsbury’s on Monday (let me Americanize that — “standing in line at the grocery store”) and overheard the cashier talking to a customer. They both said this heat is dreadful and just wish it would rain. Then it poured almost the entire day Tuesday and I’m sure they complained about that too. I think I fit in here in that respect — is it too much to ask for it to be 68 and sunny everyday? Why only oppressive heat or rain? The genius helping the guy next to me looked exactly like the bearded guy with the dark hair. My genius took my computer into the back room to perform surgery. In the meantime I just sat there taking the whole place in — I couldn’t believe how many geniuses and customers there were. I don’t know what that says about Apple — so many people seem to have problems with their products, yet they also seem to take care of the problems effectively. My genius brought my laptop back and said she tightened a screw. She also informed me that the trackpad is built like a mouse and technically you’re only supposed to click on the left and right, not in the middle. Apparently I’ve been using the trackpad wrong and now I need to retrain myself. Whoops. When it comes to running, I think I prefer a torrential downpour to oppressive heat. When we were in Greece Stephen and I decided to run outside when it was 90 degrees. The scenery was beautiful and the sea offered a nice breeze, but I still felt like I was going to die, especially going up the last hill. The next day it was back to the treadmill in the AC. 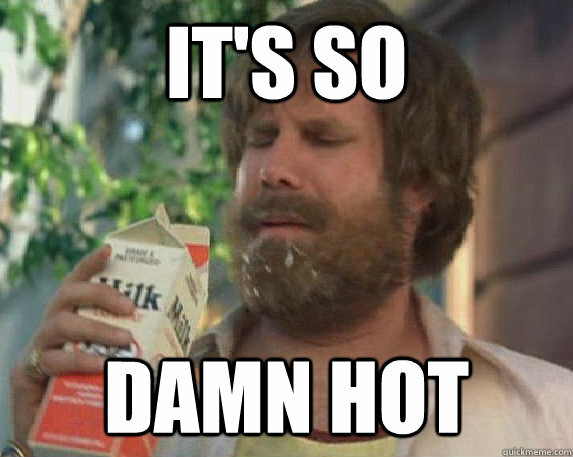 Today in London it’s hot again –87 degrees (30 C). I always tell myself I’m going to wake up early to run to avoid the heat. But I don’t like to run before eating, and by the time I make my oatmeal, eat it, do some work, then download a new running playlist it’s almost noon. This week’s C210K session is three 15-minute runs with 1-minute breaks in between. I tried to pump myself up with new music, but eight minutes into the first 15 the sweat started pouring down, and it didn’t stop. I felt like I was running through a cloud of humidity, which depending on my proximity to the pond or boating lake, smelled faintly of duck and swan poo. It took everything I had to start that second 15 minutes. An older woman ran by me, which normally would motivate me to speed up, but this time I just thought “good for her” and slowed to a walk to wipe the sweat out of my eyes. I plodded along at the slowest speed that can still be considered a jog. When I started the final 15 minutes I put on DaRude’s “Sandstorm” (that one techno song that you’ve heard a bunch but don’t know the name of). Even with sweat dripping down every inch of your body, you can’t not run to that beat. I got my second (or at this point probably sixth) wind and took off. And then I started getting chills — while running. No more running in the heat for me. Autumn can’t come soon enough. 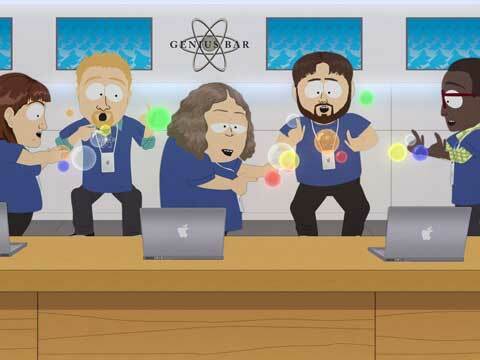 Since when do South Park fans love acrobatic yoga? 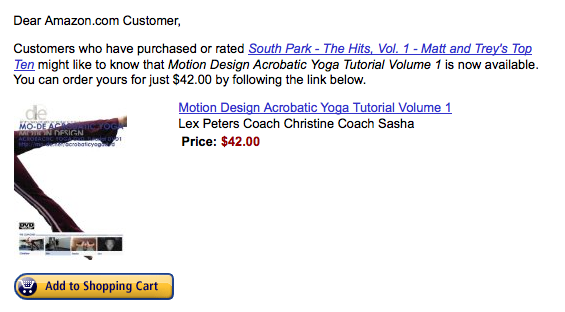 Is Amazon trying to hint that I should get off my couch, do some exercise and stop having South Park marathons? That isn’t happening anytime soon, but good try, Amazon. Good try.